Join Christin Walth, from Newburyport’s Recycling Committee- Towards Zero Waste Newburyport , on Monday, January 23rd at 6:30 PM in the Program Room of the Newburyport Public Library, where she will share her practices and strategies for living a zero-waste life. After years of living in Sweden, Christin returned to the US and had repatriation shock regarding American consumption and the amount of waste generated in US households. She conducted several New Year’s Resolutions experiments including not purchasing anything but food for a year, not purchasing any packaged food for a year, drinking nothing but tap water for a year, and went totally Zero Waste in January 2011. She has been working on perfecting the lifestyle ever since. In 2012, the City of Newburyport’s Recycling and Energy Office applied for and received a Massachusetts Department of Environmental Protection (DEP) grant to coordinate a zero waste pilot program. The program goal was to enhance and expand the city’s established bi-weekly single-stream curbside recycling program to a comprehensive program for responsibly disposing of almost any household item, as well as a follow-on pilot curbside organics composting program. A major take away from the pilot was that too often the focus is on the Recycling component of zero waste, but that should be choice only after other options are exhausted. She’ll discuss recycling options but will also cover the more important Rs — Refuse, Reduce, Reuse, Rehome, Repair, Repurpose, and Rot. Audience questions (and challenges!) are very welcome to help attendees ponder steps they might be willing to take to decrease their waste footprint. Christin continues to constantly research, develop, and refine her zero-waste practice not only to diminish waste but to make it more convenient to responsibly dispose of discards. This program is sponsored by Transition Newburyport and the North Shore Permaculture Collaborative. For more information email TransitionNewburyport@gmail.com. You’ve heard about the importance of investing in local food by supporting local farm stands, CSA’s and farmers markets and we are lucky of have many of these in our area. On October 28th at 7 PM, you’ll learn about a new model of farmer-to-customer distribution that allows you to support our regional food system. Greg Georgakalis, who runs Farmers to You. based in Montpelier Vermont, will be in Newburyport to talk about this distribution model that connects farmers in the region with customers via the web. Customers commit to placing an order of at least $40 each week for items listed by the “partner-farmers” including fruits, beans, vegetables, buttermilk, eggs, meat, jams, bread, syrups, and more. Orders are then delivered weekly to 16 Boston-area dropoff spots, including Newburyport. The program will be held at the Institution for Savings, Lending Office at 81 State Street. Enter on Prospect St.
Cassandra Campbell, beekeeper at New Eden Community Garden, will talk about her experience tending the bees at the gardens. 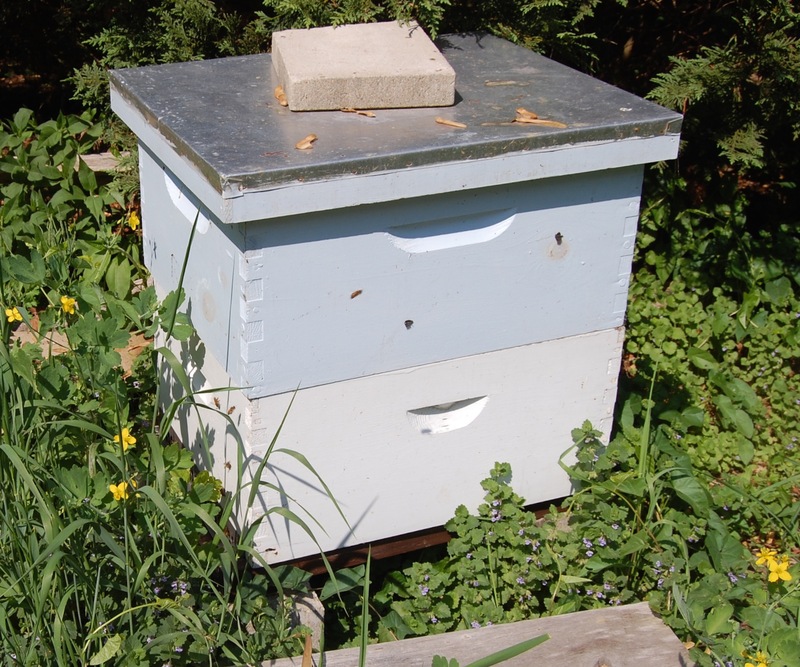 She will cover her training, where to get bees, equipment she uses, what types of plants are in the community garden and environs that support the bees and what she did to successfully overwinter the hive this year. Meet at the garden, behind the First Parish Church of Newbury, 20 High Road at 6:30 PM and bring a lawn chair. The meeting will be cancelled in the event of rain. Cancellation will be announced on the Greater Newburyport Edible Garden Group Facebook Group. How do you approach the design of a vibrant, regenerative community on the site of a former salvage yard near the heart of densely-populated downtown Newburyport, a community offering affordable housing, greywater systems, “net zero” living, edible landscaping, a common house with a shared community kitchen and electric vehicles for in-town transportation, common gardening spaces and greenhouse, on-site energy generation and more? 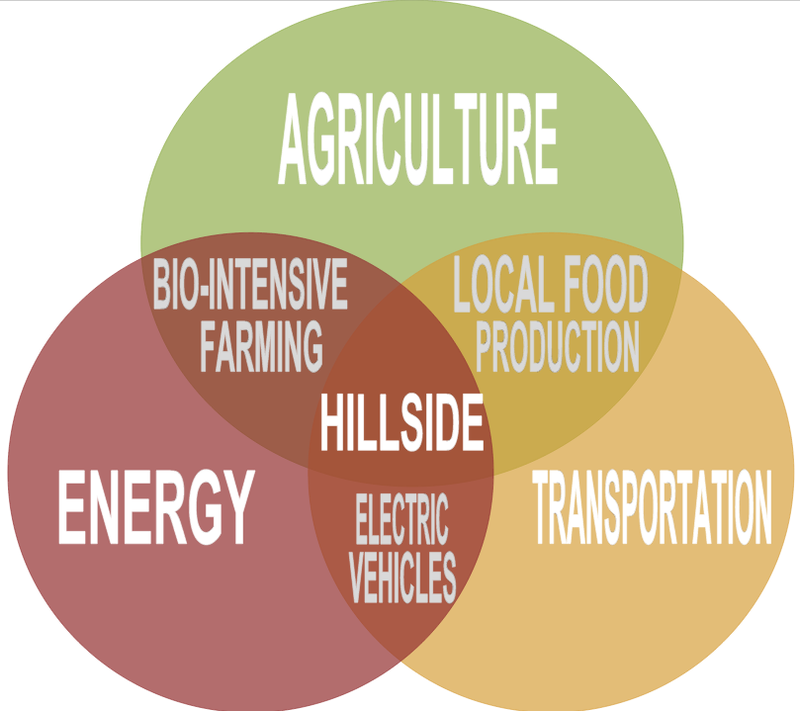 Join us on Tuesday, June 9 at 7:00 PM in the Program Room of the Newburyport Public Library to hear Kailey Burke, Resident Farm Manager of the Hillside Center for Sustainable Living, and David Hall, partner at Hall and Moskow, and learn more about the developing plan and the design process. Kailey is a graduate of UMass Amherst’s Sustainable Food and Farming program and is a certified Permaculture Designer (PDC). Kailey will oversee that mulit-year installation of the site’s permaculture ecosystem. This program is co-sponsored by Transition Newburyport and the North Shore Permaculture Group. For further information email transitionnewburyport@gmail.com or call 978-462-1308. The guest speaker for the April meeting of the Greater Newburyport Edible Garden Group is Northern Essex Community College Chemistry Instructor, Mike Cross. Learn which chemicals elicit biochemical reactions in the human brain, making chocolate the perfect drug. Mike will be sharing why chocolate is good for us, how much is healthy, what kind of chocolate we should eat and how to taste it for quality. We hear that he may have some magic tricks up his sleeve too! 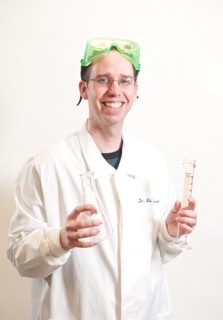 Before coming to NECC, Mike was an instructor of chemistry and department chair at the College of Eastern Utah. He believes that education should be fun and exciting. Mike holds a Ph.D. in organic chemistry from the University of Utah where he specialized in oxidative lesions in DNA and RNA. The Edible Garden Group was formed by community members who are interested in getting together to learn and share information about sustainable food growing – veggies, fruits, nuts. The meetings are focused on building community resilience through increasing the availability of safe, nutritious, sustainably-grown local food. For more information contact Deb Carey at boiester@gmail.com. Transition Streets is a tried-and-tested, behavior-change project that brings neighbors together to implement simple no-cost and low-cost actions. These actions cut household energy use, reduce water and waste, change how we eat and transport ourselves, and strengthen the community at the same time. With content experts, Transition US has adapted this award-winning program, from Transition Town Totnes in England, for use in neighborhoods throughout the U.S.
SAVE MONEY – Households cut their bills by an average of $900/year. REDUCE their household carbon emissions by an average of 1.3 tons! BUILD COMMUNITY – Neighbors form a rich social bond that goes well beyond the project. And they experience how gratifying that is! Not only is Transition Streets practical and builds social cohesion – it also sparks creativity. People begin to look at gardens differently, imagine their rooftops as potential solar collectors, and come up with lovely new ways to further support and engage their neighbors. What’s not to like? Transition Newburyport hosts a discussion group with a focus on books that examine the climate, energy and economic challenges facing us and how we might respond to them. The book for our March 1st meeting is NYT Bestseller —The Divide: American Injustice in the Age of the Wealth Gap by Matt Taibbi. Please join us on Sunday, March 1, 4 PM at the Belleville Church, 300 High Street, Newburyport, to discuss this important book. There are multiple copies available in the Merrimack Valley Library system. Our guest speaker for the February meeting of the Greater Newburyport Edible Garden Group is local food writer and blogger Heather Atwood, who will share her knowledge an about abundant and inexpensive local food, Green Crabs. Green Crabs are an invasive species that increasingly threaten shellfish beds from Cape Ann to Canada. Scientists have been studying the phenomenon and searching for way to control them. It turns out that Italians have been making delicious seafood dishes with a relative of this crab for years. Heather says, “We need to get these crabs into our stock pots,” and she will tell us how! Join us on Tuesday, February 24th, 7 PM at the Newburyport Five Cents Savings Bank, 43 Main Street, Amesbury (enter on the ATM/parking lot level).